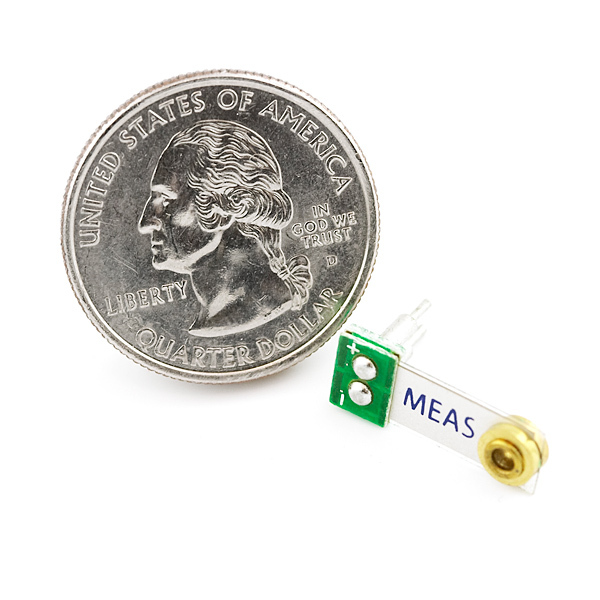 The Minisense 100 from Measurement Specialties is a low-cost cantilever-type vibration sensor loaded by a mass to offer high sensitivity at low frequencies. 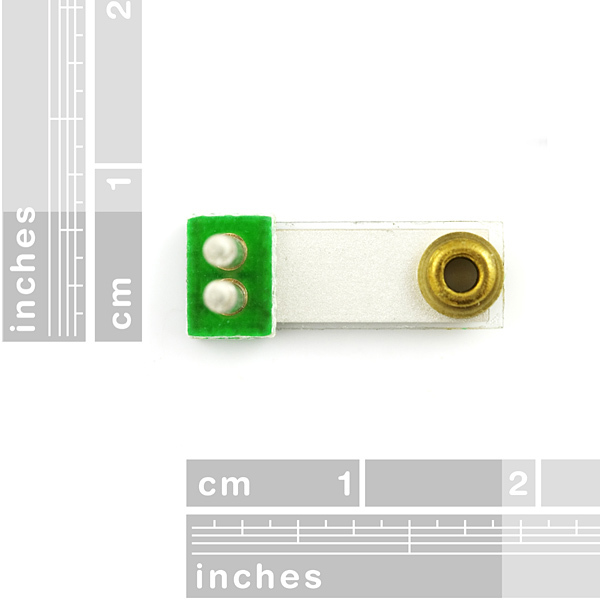 Useful for detecting vibration and 'tap' inputs from a user. A small AC and large voltage (up to +/-90V) is created when the film moves back an forth. A simple resistor should get the voltage down to ADC levels. 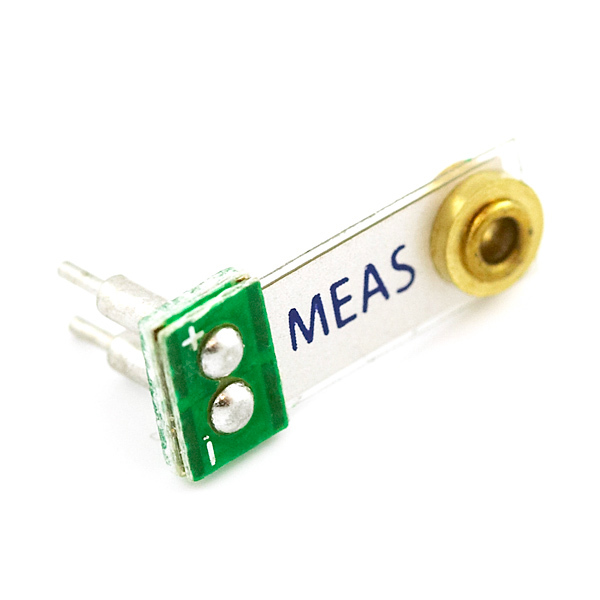 Can also be used for impact sensing or a flexible switch. Comes with machine pins that allows for horizontal mounting. We've seen this used as great musical inputs. How to combine a piezo sensor, high-value resistor, and an Arduino to create a vibration sensor. Hmmm, after looking at my car again today and noticing all the new paint chips on the doors and tyre marks on the bumpers got me to thinking about how I might be able to use these vibration sensors to at least scare the heck out of the people responsible. An idea maybe? I have the same idea with a cool siren I bought from RadioShack, but is this sensitive enough to feel someone rocking my truck? Depending on how you trigger your siren, I doubt it should be a problem. I mounted it inside a wind turbine model in my office and it is picking up me walking around in the room. hi!! can anyone tell me which sensor is useful for earthquake waves i.e p-waves?? I bought this and hooked it up to a LED but I can't seem to make it light up. Tried it w/the very tiny lilypad LEDs, too. I've tried the same thing w/the round piezo sensor with success, so I know it's not the bulbs. What am I doing wrong? I've tapped, bent, and hummed into the sensor. My guess is that you are getting either much too high of a voltage to properly run the LEDs, or the current in your circuit isn't high enough to actually turn the LEDs on. Test the readings you are getting out of this with a multimeter- that will likely help you narrow down the problem. I'm a big n00b, but what resistor values should i use for this with an arduino or attiny chip? What's the difference between the horizontal and vertical? Does it really make a difference? I am doing an arduino based project that measures bow vibration to determine a correct brace height (distance from string to where you hold the bow). Would this be too sensitive and break? I guess it is cheap enough to just try it out. Any thoughts? Any examples on how to use these? Hook one of these up to an amp, Have the amp power a ridiculously loud tweeter :P. I personally have read you can use these and a sheet of glass to turn a monitor into a touchscreen and look forward to trying that out. 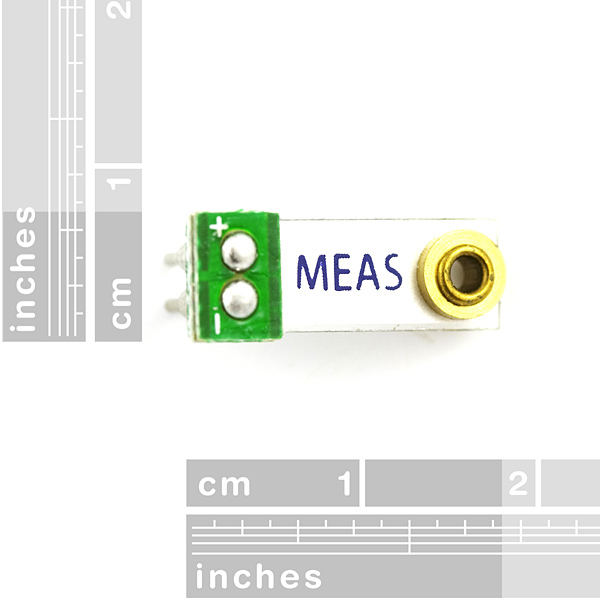 This sensor's super convenient - it can plug directly into the breadboard! And once done prototyping, the pins also make it easy to solder to. I'm using this to detect the vibrations of my washing machine and it works perfectly for this task. I purchased 4 of these and 2 were DOA. Moving past this, since that can happen with any batch of hardware, the main issue is that the sensors give results all over the place (and they seem to flake out a lot). They are simply not good at measuring NON-direct vibrations/taps. If you place it on metal, wood, etc, and start knocking within 1" of the sensor, it will either NOT pick it up, or "barely" register a few #s (which is just as bad -- see why bellow). Just by connecting them + and -, and applying the 1M resistor (as per: https://www.arduino.cc/en/Tutorial/KnockSensor), you will see a range of ~95-105 at "resting". That's even when placing it on a carpet, with no vibration/movement/etc. in the area. The main issue with this is that that's roughly the range of a "normal" knock/vibration detection within an inch or so. I purchased it to detect laundry vibrations, and signal when the laundry machine is running. "I found the raw output of the piezo unsuitable for direct input to the Arduino as it is typically a very small voltage signal and needs amplification"
At the end of the day, this simply did not do what it claimed -- detect vibrations. I am a bit disappointed, and I would definitely not recommend them. Sorry that you received 2 DOA, and the others aren't acting as you expected. I would suggest getting in touch with our tech support team, they should be able to help you out.